Hello Friends, I was so happy about getting some warm weather a couple of weeks ago. But apparently, the cold weather isn’t quite ready to leave us for the year…. and so, we are back to the colder temperatures again! I heard on the news some of you might even get some snow today… yikes! 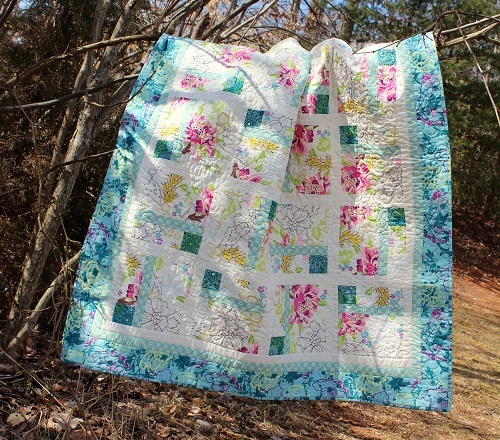 Nonetheless, mentally I am forcing myself to think that we are in spring through some of my springy quilts. I hope you will enjoy the “virtual Spring” I am sharing with you today. Feel free to click on the quilt names to view detailed pictures of the quilts. 1. Stained Glass, Simple Quilts & Sewing Spring 2013 – this is probably my favorite Spring 2013 quilt! 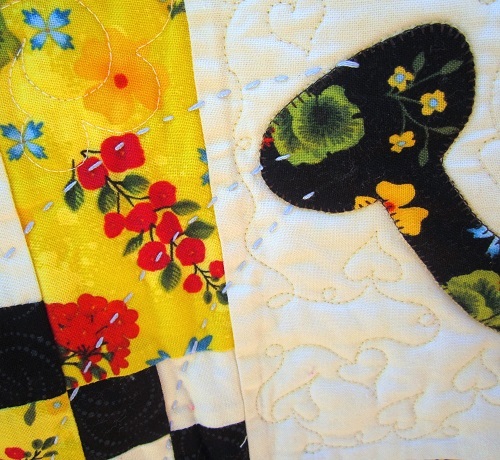 Which of these Spring Quilts caught your fancy? Thanks for stopping by. I’d better get to the sewing machine and work today as the second half of the day will be spent running errands. Hugs to you all! This entry was posted in Quilting, Quilts & Projects: Published and tagged Spring Quilts, Wendy Sheppard Designs. Bookmark the permalink. Wendy, thank you for sharing some virtual spring . The baking summer have already started in my part of the world . 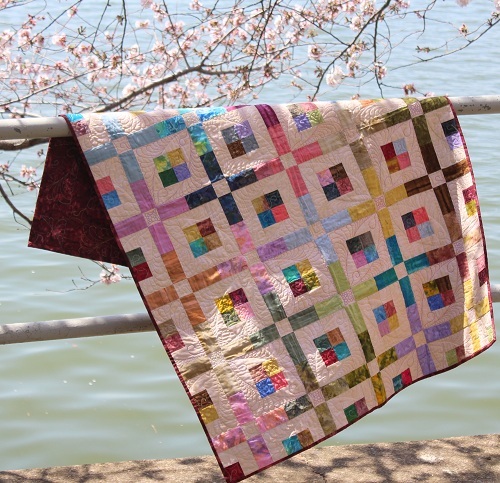 Your spring quilts are gorgeous. I love Out of Nest it is so darn cute.. But all your quilts are wonderful. They are all beautiful! Out of the Nest caught my attention. 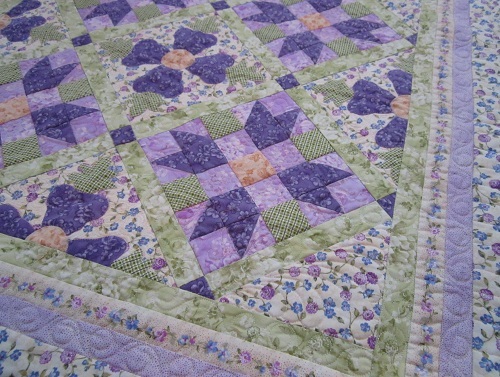 The pattern and the quilting are just lovely. I think Garden Maze is the most appealing. It’s unusual and not “cutesy” like some of the others. I’m just not into “cute”, but I do like “intriguing”. Out of the Nest has been a favorite of mine since I first saw it for many reasons, theme, fabric choices and fabulous quilting. I even got a bunch of Kanashi? flower makes because of it although haven’t tried them. 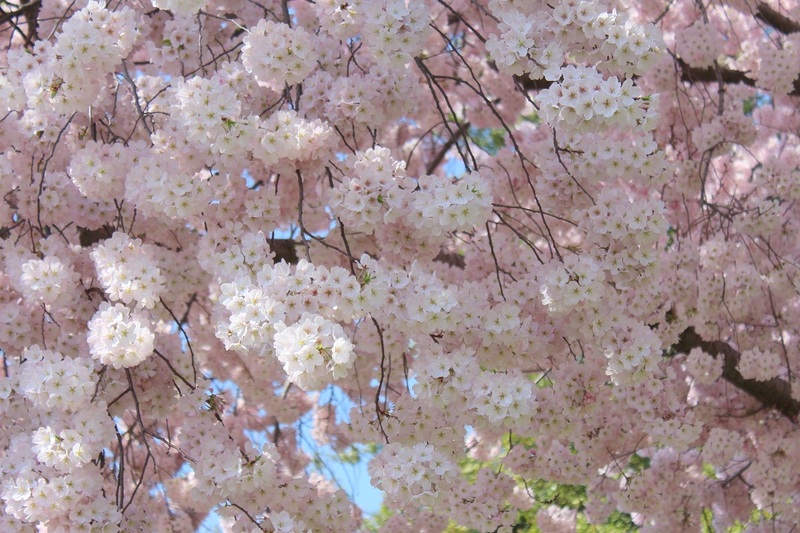 However, the picture of the cherry blossoms takes my breathe away. I live so close, but can’t deal with the crowds!. Perhaps next year at sunrise…. All the quilts are wonderful, but ” out of the nest” and ” stained glass” are my two favorites. “Simple Quilts and Sewing” seems to have eluded me in my trips to the store to purchase it. You already know that I am fan of everything that you do. It doesn’t matter what it is, I love it. 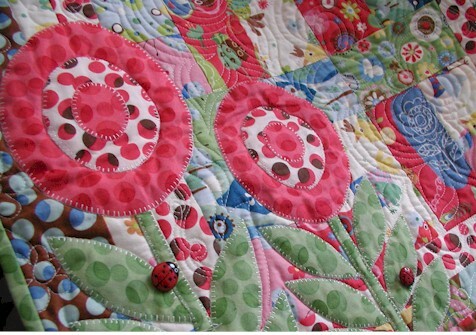 I think out of these, I would choose “Out of the Nest” – the applique, the 3D flowers, and of course your quilting! It is just so, so adorable! I love Out of the Nest. It is so cute and I love all the feathers. They are all beautiful but the Garden Maze quilt really caught my eye. Thanks so much for sharing your great works or aft. Thanks for the happy Spring quilts! I feel better now!!! Out of the Nest has always been one of my all-time favorites, but I like Watercolor Sketches a lot, too. Watercolor Sketches just screams spring to me. Its so light and airy. Looks like it belongs draped over a white wicker chair that sits on a white picket porch….going to my happy place with your quilt….. Although I love ALL of your quilts I think I am partial to the Stained Glass one. I think it is because of it being photographed where the weather is warm. Your “virtual” quilt show is amazing!! Watercolor sketches and Not too square are my two favorites. The other ones are pretty cool too. 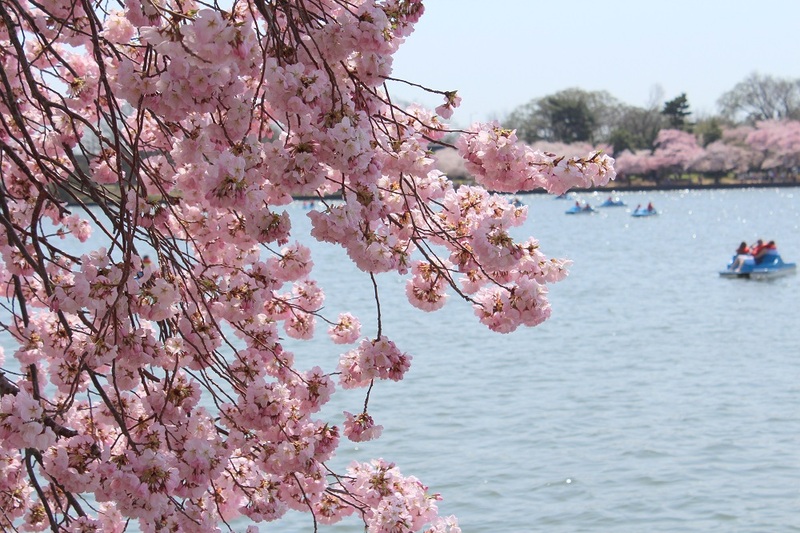 Those cherry blossoms are to die for. I love them ALL but Stained Glass, Not Too Square, Flower Duet and In the Meadow cry out my name. The one with the little birds is so charming. Gosh, I’d be at a loss to pick a favorite. OUT OF THE NEST is still my favorite–I just love that quilt. Been gone for a while but back home and ready to keep up with what all you are blogging. OUT OF THE NEST is still my favorite. Been gone from home for a while but back and ready to keep up with your blogging. Wendy don’t know why my name didn’t show up iit is Carol Hendrick that made the above comment–Back home. I like them all but if I was FORCED to pick a favorite, I’d say Out of the Nest followed by Stained glass and then Watercolor sketches. I really love all of them but these three are such a breath of fresh air. I am amazed at how prolific you are. How can you accomplish so much? I wish I could do half of what you do. Thanks so much for the inspiration. 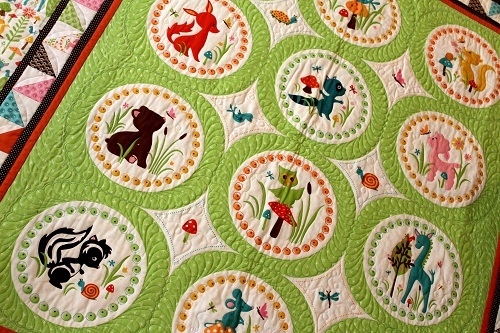 I love the quilting on Out of The Nest! And the little birds are adorable. I have this book, but haven’t made a quilt from it yet. I love out of the nest. The quilting really shows the quilt off. The greens are lovely and the birds adorable. I bet Miss Baby loves this one too. All beautiful, but Out of The Nest is stunning! I love the “Flower Duet”. Thanks for all the ideas. 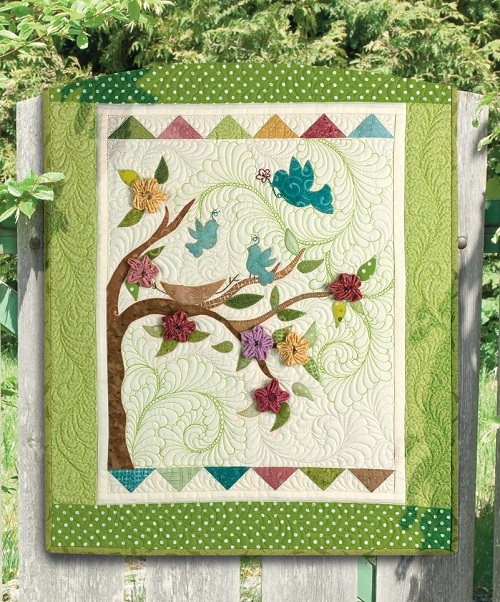 Of course I love the Out of the Nest one, but I am also crazy about the Garden Maze quilt. I don’t recall seeing that one before. The fabrics in the Stained Glass still capture my heart as do the Watercolor Sketches. 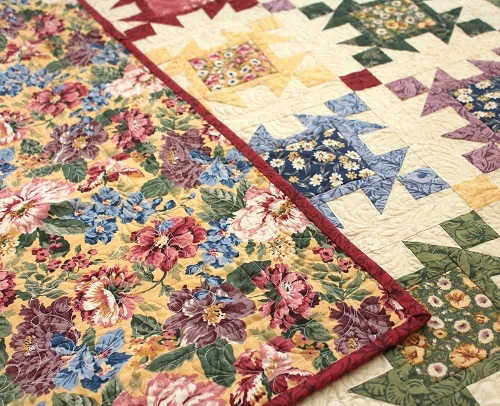 What a nice collection of beautiful quilts! 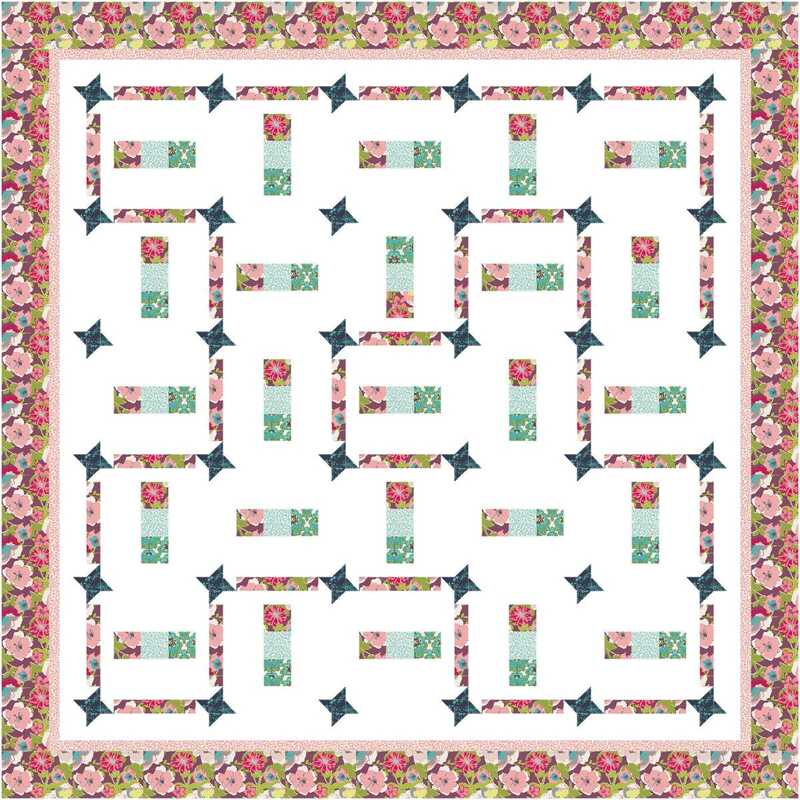 The quilting in “Not Too Square” is so beautiful! 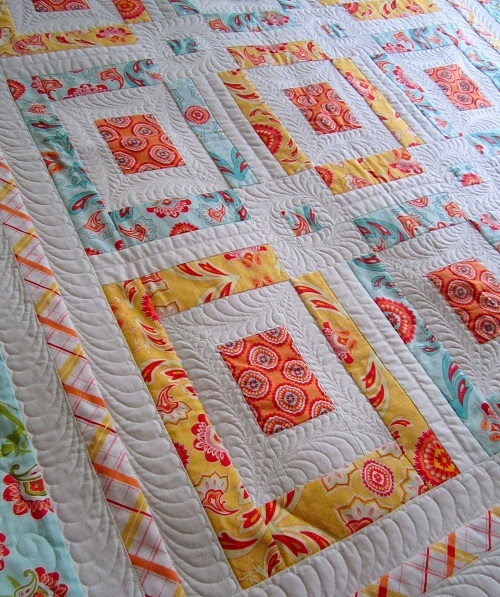 I really want to learn to quilt my quilts like that! What a collection of beauty! Made the Plain and Fancy quilt and need the fabric to make it again. This quilt was stolen from me. Never used it. It was new. Just need the fabric to remake it. If anyone has this fabric please email @ gkaymore02@yahoo.com. or put it on my facebook. it’s the same. Need to remake it. Much appreciated. I have the pattern instructions. Need this fabric for the Plain and Fancy quilt. Made this quilt and it was stolen. Never used this quilt. Like new. I have the instructions to make it again. Thank you, grace Skipton.